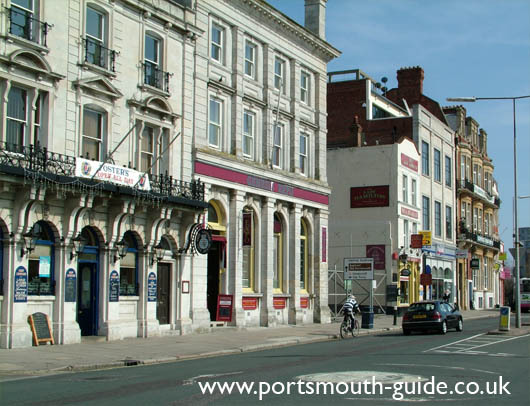 The Genesis Expo is located in the old National Provincial Bank building on the Hard in Portsmouth. As visitors enter the museum they will find Boris a 20 foot model of a dinosaur. The museum features twelve dioramas and a clutch of real fossilised dinosaur eggs. The dioramas follow the theme of creation. The Genesis expo museum is the biggest creation museum in the UK. The museum also features a video room where a 45 minutes video is played continuously. The museum opened to the public in 2000.